More Locations Select a Location 600 Palmetto Street 125 Memorial Medical Pkwy 5535 S Williamson Blvd. When renovations are complete at Palmetto Street, we will begin seeing patients at all three locations for your convenience. The Palmetto Street location is expected to reopen Summer 2019. Dr. William Browning III is an Orthopedic Surgeon. 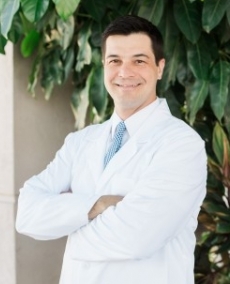 He received his Master of Science in medical education and completed his residency at LECOM in Pennsylvania and received his doctorate in osteopathic medicine from the West Virginia School of Osteopathic Medicine. Dr. Browning completed his orthopedic sports medicine fellowship at the University of Buffalo in New York where he was an assistant team physician with the NFL team the Buffalo Bills. Dr. Browning provides compassionate care for ages 12 and up. New patients are welcome, and most insurance plans accepted.